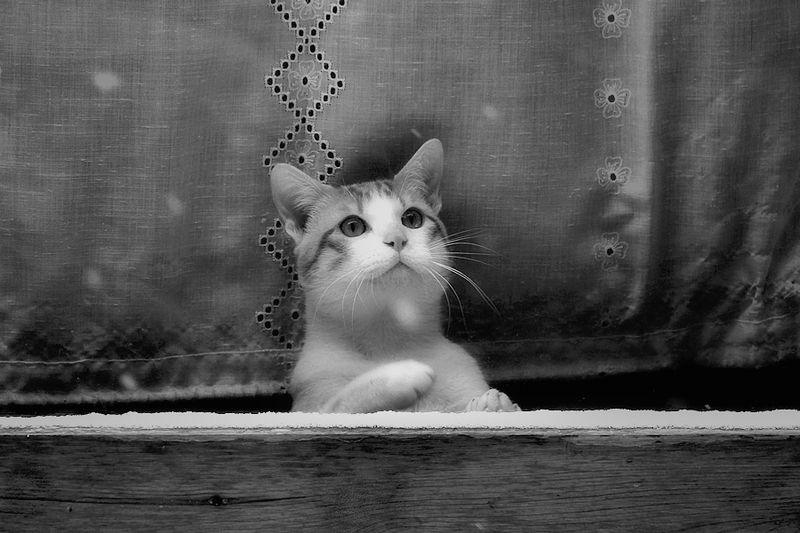 » Kitten behind a window trying to hunt specks of snow on the other side of the glass without leaving home because it’s too cold for him - Black & White or Color? Entre el tembleque por el frío de fuera y los guantes que imagino llevarías, no es fácil conseguir un enfoque así. Me gusta ese gatito curioso.